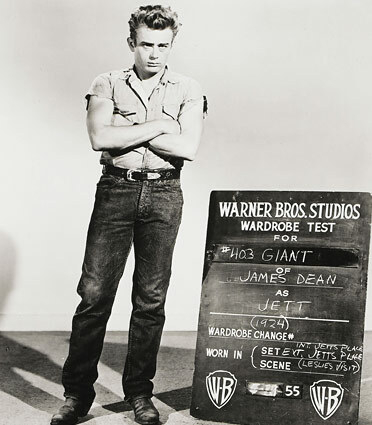 Denim is an american Icon, from levi strauss to James Dean denim has evolved through many subcultures and styles. Denim enthusiasts gather online to discuss the subtleties of a great pair of jeans. Often drooling over the japanese made pairs that were created on old shuttle looms. It isn’t washed treated, or soaked before you get it. It is simply raw. I have a pair of jeans that I find to have molded to me. each fade and tear has a story. 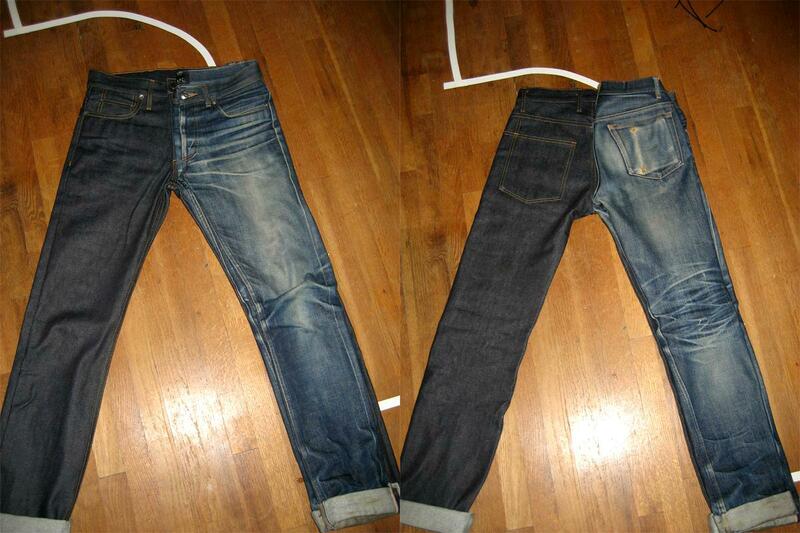 They still are quite dark, but after a few years of wear the denim looks amazing. The fade on every pair is unique to the wearer and becomes a footprint of the person wearing them. Here is another picture illustrating the huge difference a year can make.